Tucked away amongst the green slopes of Costa Rica’s Central Valley, a sustainable tourism pioneer produces some of the country’s best coffee. I dropped in for a tasting – aka a “cupping”. “Citrus? Wood?” I slurped another gulp of coffee and thought hard. “Chocolate, perhaps?” Ulises, who was patiently taking me through a cupping session on the verandah of Finca Rosa Blanca, just smiled. Ten minutes earlier, at the start of the tasting, I was struggling to pick out any specific flavours. The coffee, made by the traditional Costa Rican chorreador drip method, just tasted delicious. But gradually, thanks to Ulises’ guidance, my palate developed, and I began to distinguish different flavours, sensing peanuts, floral scents, even leather. Or at least I think I did: Ulises may just have been too polite to correct me. Earlier in the day he had taken me on a tour of the coffee estate attached to Finca Rosa Blanca, one of Costa Rica finest – and most environmentally-friendly – hotels. It is scenically perched on a lush hill just outside the city of Heredia in the volcano-studded Valle Central (Central Valley), the heart of coffee country. Introduced here in the early nineteenth century, the crop flourished in the mineral-rich soil and quickly became a mainstay of the Costa Rican economy. Today the countryside is blanketed with a patchwork of fields, plantations, terraces and estates. Several of the Valle Central’s coffee producers – including Costa Rica’s biggest exporter, Cafe Britt – offer guided tours, but Finca Rosa Blanca’s is perhaps the best. At just 30 acres, its organic estate is small by local standards, but stands out for its sustainable, low-impact approach, which produces excellent Rainforest Alliance-certified coffee. Conventional coffee plantations, explained Ulises, often cause significant environmental damage, primarily through deforestation and soil erosion. By contrast, Finca Rosa Blanca’s estate is based around the idea of a balanced ecosystem. Some 5,000 native trees – including bananas and palms – shade the seemingly randomly scattered coffee bushes, which don’t like direct sunlight. The trees also provide nitrogen to enrich the soil and a habitat for birds, who in turn eat insects, which means that pesticides are not needed to protect the coffee bushes. Over a hundred different bird species have been spotted on the estate, Ulises said, pointing out hummingbirds, flycatchers and squawking brown jays as we walked. The ecosystem, however, is also a home for some less welcome species, he added: the previous day a beautiful – but deadly – coral snake had been spotted in the undergrowth. I walked around very carefully for the rest of the tour. Ulises showed me how the coffee bushes – which are arabica, the only species it is legal to plant in Costa Rica – are fertilised in part with compost made from the hotel restaurant’s organic waste. Between October and February the red berries are harvested by hand and their seeds – the coffee beans – dried in the sun, before being milled, pulped and finally roasted. The estate is over 4000ft above sea level, and the altitude hardens the beans, allowing them to be roasted for longer, producing a more aromatic, complex flavour. In total, the journey from bush to cup takes six to eight months, and the result is a smooth, mellow coffee that doesn’t need milk, let alone sugar. After the cupping I had dinner with Finca Rosa Blanca’s American owners, Glenn and Teri Jampol. Since moving to Costa Rica 30 years ago, the couple, have pioneered environmentally-friendly travel, and Finca Rosa Blanca has the country’s highest sustainable tourism rating. When the coffee estate opposite came up for sale a few years after the hotel opened, it was a natural addition. The hotel makes full use of its produce: the in-house spa has a range of coffee-based treatments, while the restaurant menu features dishes like chicken in a coffee-and-tamarind sauce. But it’s hard to beat a simple cup made from freshly roasted beans, especially when enjoyed on the terrace, with views across the Valle Central to the twinkling lights of the capital, San José, in the distance. Finca Rosa Blanca provided the author with accommodation and the coffee tour. This article was first published here. For many years Chiapas and Tabasco were famous for revolutionaries, chilli sauce, and little else. But these neighbouring Mexican states are increasingly appearing on tourist itineraries, drawing in travellers with their magnificent ruins and colonial cities, unique indigenous cultures, and lip-tingling cuisine. Stretched along the Guatemalan border in Mexico’s far south, Chiapas is an incredibly culturally and biologically diverse region. Its landscapes feature mountains, valleys, forests, lakes, beaches, and coffee plantations, while some twenty-five per cent of its population belong to indigenous groups. In the mid-1990s Chiapas became synonymous with the Zapatistas, a left-wing guerrilla group that launched a brief uprising against the government. Today, however, the group’s struggle is largely intellectual rather than military, and won’t impact negatively on your visit to one of Mexico’s most attractive states. A glorious colonial city, San Cristóbal de las Casas is the tourist hub of Chiapas, and a tough place to drag yourself away from. Home to a cosmopolitan community – there are sizeable expat and indigenous populations – the city is a mix of attractive townhouses, Baroque- and Moorish-inspired churches, bustling markets (where you can buy anything from silver jewellery to plates of fried ants), hundreds of restaurants, cafes and bars with tables spilling out onto the streets, and a refreshingly cool climate. 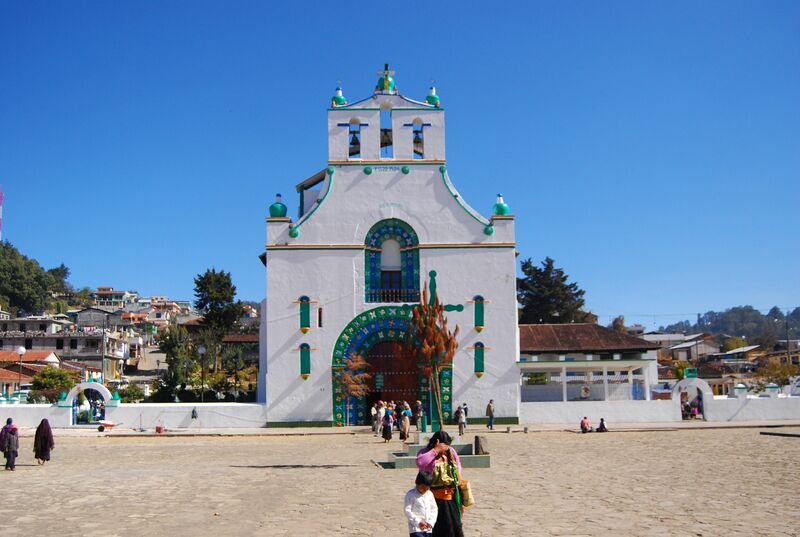 San Cristóbal is also the jumping off point for day trips to the indigenous villages of San Juan Chamula and San Lorenzo de Zincantán. The Tzotzil Maya community here have fused their traditional beliefs with Catholicism to create a unique religion that features Christian saints, animal sacrifices, and medicine men, but no priests, masses or church marriages. 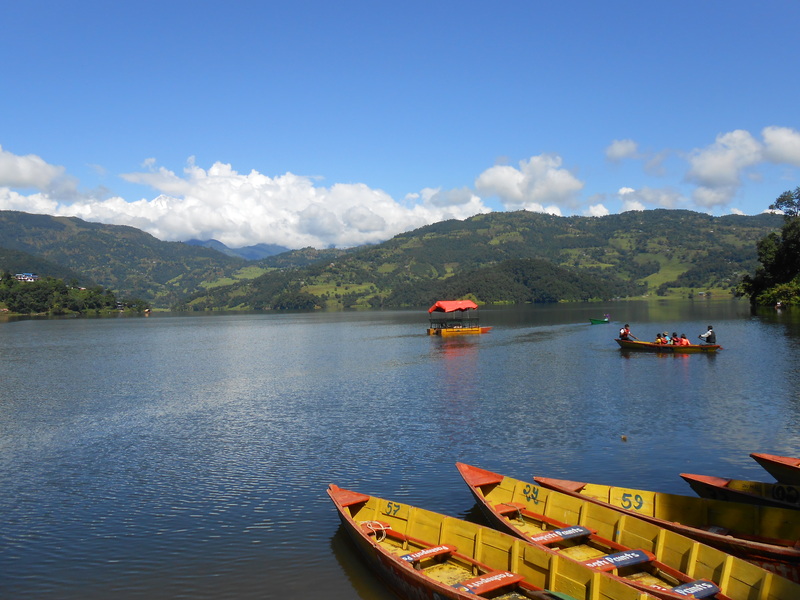 For a change of pace, head southeast of San Cristóbal towards the Guatemalan border and Parque Nacional Lagos de Montebello, a beautiful reserve with more than fifty lakes surrounded by pristine forests. More reminiscent of Scotland or Maine than Mexico, the landscape, dotted with cabins and picnic spots, is ideal for hiking, swimming and horseriding. Chiapas also has some breathtaking archeological sites. In a dramatic setting high on a hill, surrounded by insect-rich jungle and commanding views across the Yucatán plains, the ancient Mayan city of Palenque is the most popular attraction in the state. Flourishing between 300 and 900 BC, the site is dominated by an eight-stepped, 25m-high pyramid, the Templo de las Inscripciones, and El Palacio, an impressive complex of residential and administrative buildings. If you have a head for heights you can clamber up the latter for some panoramic vistas. Further south, drawing far fewer tourists, the ruins of Bonampak contain the finest collection of Mayan murals in Mexico. The highlight of the site, which lies in a small natural park on the fringes of the Montes Azules Biosphere Reserve, is the Edificio de las Pinturas. Inside are three chambers with evocative, colourful images of noblemen dressed in jaguar-skin robes and quetzal-plume headdresses, tortured prisoners pleading for mercy, and even a severed head. Winding along the Gulf of Mexico, the smaller state of Tabasco is humid, largely flat, and criss-crossed by rivers and swamps. Bordering the Yucatán Peninsula – the most touristy part of Mexico – the state receives few travellers but has plenty of things to offer. Tabasco sauce, however, is not one of them: although named after the state, the peppers don’t grow there and the condiment is actually a US product made from peppers harvested in Louisiana. As Graham Greene pointed out when he travelled through Tabasco in the 1930s, Villahermosa doesn’t necessarily live up to the name “beautiful city”. But while Tabasco’s capital may not be the most aesthetically pleasing place, it has some fascinating attractions that you’re likely to have all to yourself. The highlight is Parque La Venta, which displays relics from the Olmec site of the same name amid a jungle teeming with birds and butterflies and echoing with jaguar growls (which emanate from the adjacent wildlife park). Along with the sculptures, altars and tombs are a series of giant basalt heads for which the Olmecs – the mother culture of Mesoamerica – are famous. Villahermosa is also the best spot to sample Tabasqueño cuisine, which is rich in tropical fruits and freshwater fish. Keep an eye out for the local super-sweet pineapples, the tasty pejelagarto fish (which is generally barbecued and served with a fiery sauce), and horchata de coco, a rice-milk drink spiked with coconut. There are some easy but worthwhile day trips from Tabasco’s capital. Some 100km southwest are the rugged Sierra Huimanguillo mountains, home to canyons, waterfalls and the petroglyphs of Malpasito. Meanwhile 58km north of Villahermosa are the Mayan ruins of Comalcalco, whose temple, acropolis and palaces are distinctively built from kiln-fired bricks. Shafik travelled with Journey Latin America who offer a 15-day trip to Mexico City, Oaxaca, San Cristobal de las Casas, Palenque, Villahermosa, Campeche, Mérida, Chichén Itzá and the Riviera Maya for £3,340 per person (including B&B accommodation, some meals, excursions, transfers and flights).